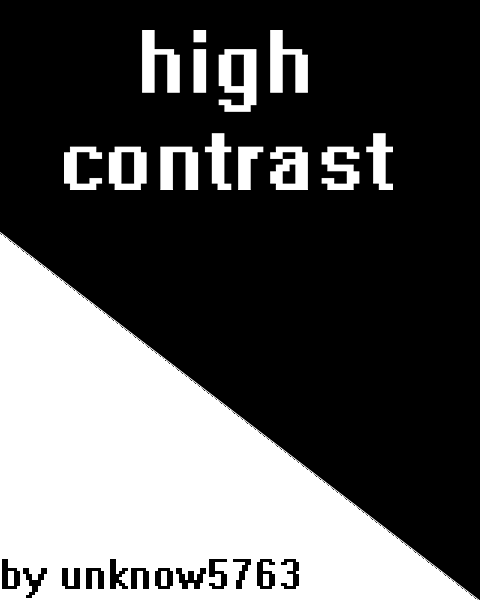 High contrast is an indie game developed by killer productions. As the name says, the game uses high contrasting graphics to produce game play quite unlike most games. The game is based off the doom engine but the focus is on puzzles and game play, then first person shooter action. The game is completely non violent. The game (at the time of writing) has practically no back story or motives. The game is a summer project because I wanted to learn the doom engine and the result is this at the moment I am making all the game’s resources are completely made by me unknow5763 and this is my first game I have put a lot of effort into. If anyone wants to help make the game please contact me with any help you think you can bring hope to have a alpha/beta as soon as possible. To the best of knowledge this is a first for the doom engine as there is no violence and it is puzzle based. tell your friends people ! Is this dead? If it isn`t I can join your team and help! While playing the alpha and watching the video I saw a potential in this project. For start all was easy, too easy. That makes me think, you are gonna make a lot tougher puzzles for future levels. That`s cool, really cool! Keep it up high! This looks really cool! Great way to revitalize the doom engine!